Lauren Redhead is a UK electroacoustic composer who currently is a lecturer in music at Canterbury Christ Church University. 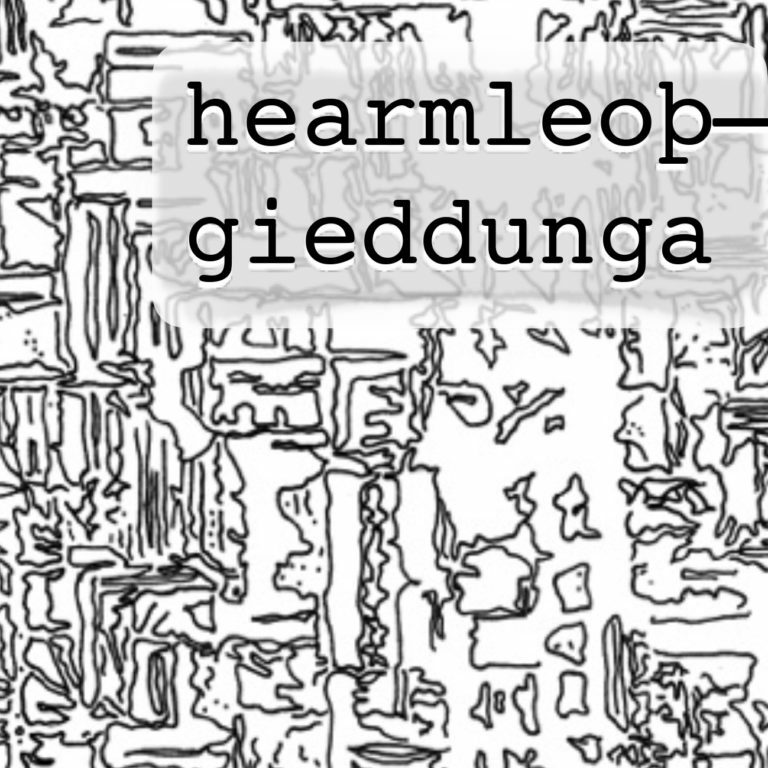 Hearmleoþ—Gieddunga, roughly translated as Sorrowful Songs—Prophecies, is her latest of several album-length releases. While the term “unique” gets thrown about when reviewing experimental music, there is perhaps no better word to describes Redhead’s output. While her focus is on organ and voice, Hearmleoþ—Gieddunga is a collaborative composition with her on these instruments, as well as harpsichord and various woodwinds. She provided the scores, texts, samples, and overall direction for the project. Then collaborator Alistair Zaldua further developed the pieces in live environments and added violin, double bass, percussion, and electronics. Finally, Josh Cannon added further overdubs in the studio with a combination of programming, mixing, and mastering. The focus is on texture, structure, and palette more than melody or rhythm. As an example, the 15-minute Ingenga begins with disjointed violin sawing and spoken-word vocals over an amalgam of indistinct voices and background drones and rumbles. The stringed instruments squeak while the speaking grows more intense and drones mix with percussion and take the form of a crackling wall of sound. By the seven-minute mark, organ chords and bells have joined and the voices have dropped out. Afterward, harpsichord plays over dense layers of electronics combined with long-held notes. Organ chords return with lightly grinding electroacoustics and stray voices. A heady journey, indeed. Hearmleoþ—Gieddunga is another excellent offering from Pan y Rosas and in the running for album of the year. Well done.